Glucose transporter 1 is an integral membrane protein with 492 amino acids, 54084 Da and with 12 hydrophobic segments, each of which is believed to form a membrane-spanning helix. 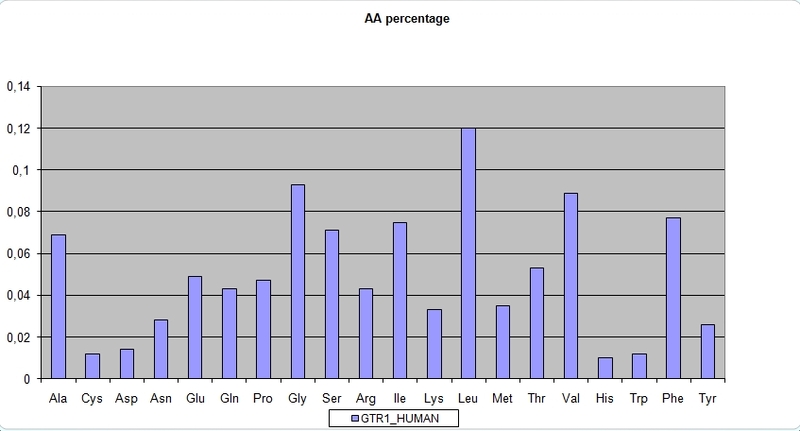 GLUT1 in humans is encoded by the SLC2A1 gene. The SLC2A1 gene is more expressed in early erythroid, placenta, bronchial epithelial cells, colorectaladenocarcinoma, but especially in placenta. 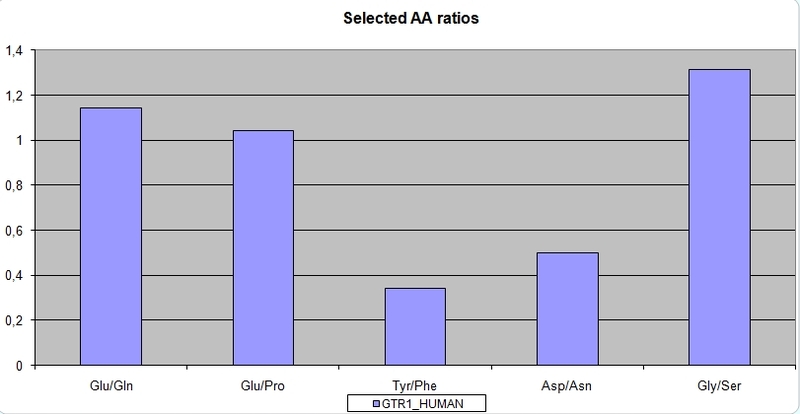 GLUT1 belongs to the sugar transporter family, glucose transporter subfamily (they can transport glucose or fructose from areas of high concentration to areas of lower concentration). Energy-yielding metabolism in erythrocytes depends on a constant supply of glucose. GLUT1 transports glucose from the blood plasma in erythrocytes by facilitated diffusion at a rate about 50,000 times greater than uncatalyzed transmembrane diffusion. GLUT1 is responsible for the low-level of basal glucose uptake required to sustain respiration in all cells. GLUT1 is also a major receptor for take-up of Vitamin C as well as glucose, especially in non vitamin C producing mammals as part of an adaptation to compensate by participating in a Vitamin C recycling process. Glucose crosses the blood-brain barrier and get into the various compartments of the brain transported by GLUT proteins. Glucose is transported across the blood-brain barrier into astrocytes and neurons by GLUT1 and GLUT3. Neurons use glucose, lactate or ketones as source of energy. Estrogen is known to increase the level of GLUT1 transporter expression. GLUT1 does not carry glucose in the liver where it is particularly expressed GLUT2 instead. Impairment of brain endothelial glucose transporter by methamphetamine causes blood-brain barrier dysfunction [22 March 2011] Methamphetamine (METH), an addictive psycho-stimulant drug with euphoric effect" and is known to cause neurotoxicity due to oxidative stress, dopamine accumulation and glial cell activation. METH has effects on glucose uptake and transport across the blood-brain barrier (BBB). METH may activate GLUT1 in acute condition but in long-term it impairs GLUT1 function. The transport of glucose across the plasma membrane is accomplished by a family of integral membrane glycoproteins termed GLUT proteins. The regulation of these proteins plays a key role in the metabolism of sugar. In particular, the glucose-dependent regulation of glucose transport has been described in many cell types. Expression levels of GLUT1 in cell membranes are increased by reduced glucose levels and decreased by increased glucose levels. The Glut1 and Glut4 glucose transporters are differentially expressed during perinatal and postnatal erythropoiesis . Inverse relationship between Glut1 and Glut4 expression during neonatal erythropoiesis is associated with a decreased SP3/SP1 ratio.